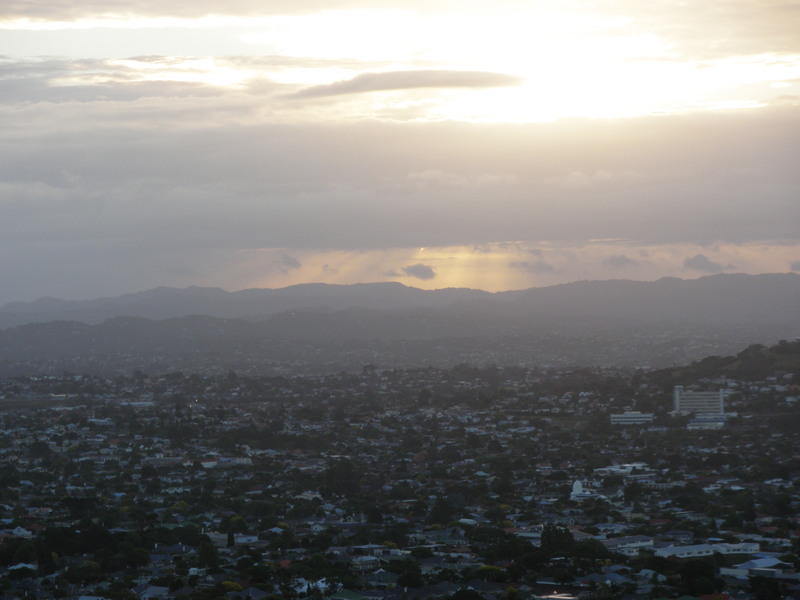 The sun rushes toward the Waitakere Range five miles west of my house in a photograph taken at an elevation of 643 feet. It’s just another amazing example of the beautiful things you can accomplish with a digital camera and a dozen whip-its. Thanks for stopping by. More quality content coming soon. Simon, I think you’re confusing smog with a sunset. Just like a good New Yorker should, in fact. Don’t let them trick you into believing it’s “fresh air”. Or . . . are you confusing smog with whip-its? Ah, life at the end of the world….so where they going to set up thunderdome? Come to think of it, that would be a great name for a bar.